Day 3! (days 1 and 2) Here we goooo. 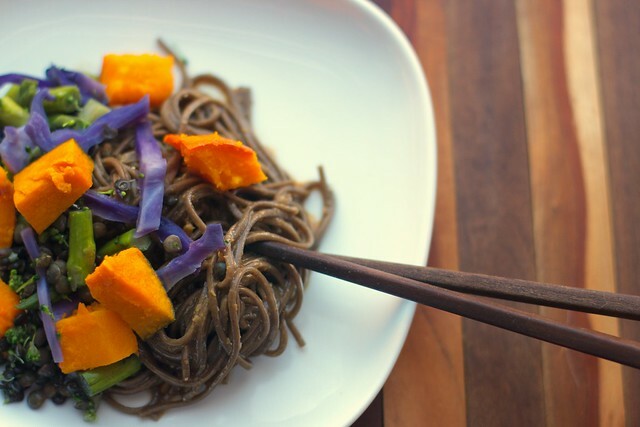 Soba noodles. Miso. Vegetables. 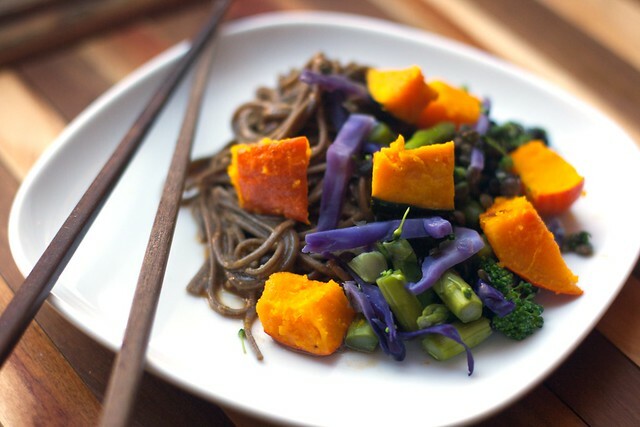 Bring a pot of water to a boil and cook the soba noodles for 3 minutes. Strain the noodles and rinse under cold water to remove all the starch. 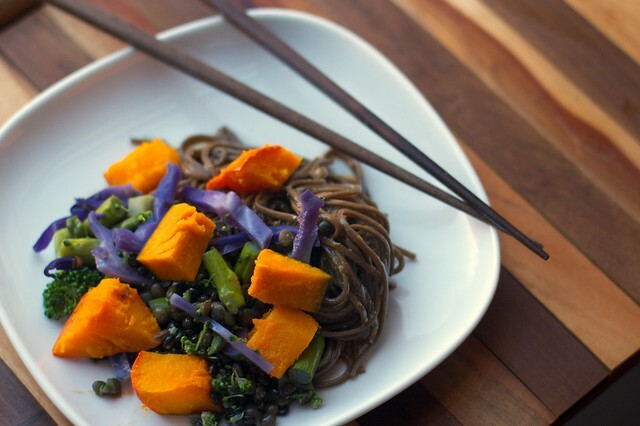 In a large bowl, whisk together the miso, sesame oil, soy sauce, vinegar, and water. Add the noodles and a few scoops of the mixed vegetables and toss it all together.